This is the 5th Day in our 12 days of parenting series of posts. The theme is Christmas Crafts, so I hope you enjoyed checking out the other post from Candyfloss and Dreams. Today, we are doing a really simple homemade Christmas tree decoration, a lovely little wreath craft for you to hang from the tree. There is another giveaway to go with this post, so do check out the Rafflecopter below this craft too. 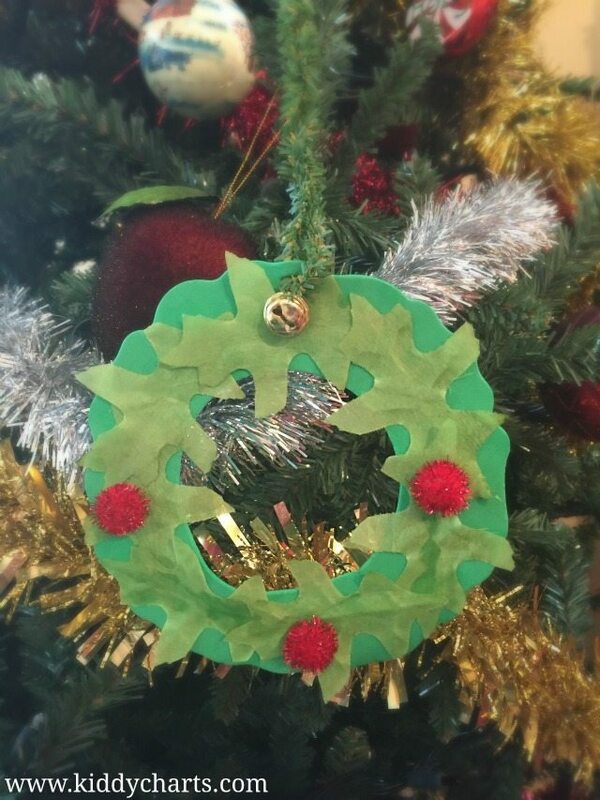 Pine tree effect pipe cleaner. 2. Glue them with the white glue from Bostik. 3. Using the glue dots, place the glittery red pompoms evenly on the sides, and the bottom of the leaves. 4. Add the bell to the top of the wreath. 5. Twist the fir pipecleaner around the top of the wreath hiding behind the bell. Twist it together and use it to hand on your tree. Today’s giveaway is sponsored by Sand Art, if you would like to take part (code word: Family), please do so. Full details of the T&Cs for this giveaway are listed here. If you want some other ideas for Christmas, then do check out my Love Chirstmas board over on Pinterest for some more ideas. You might even want to follow me over there, as I do rather like to pin crafts. 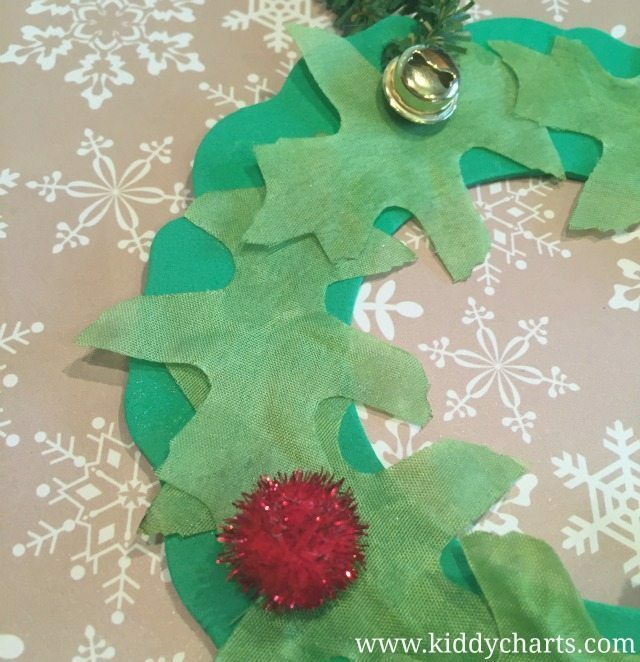 In addition, don’t forget to pin this craft for later so that you can get a little Christmas wreath on your tree, perhaps this year or even next. Dont firget the giveaway either. The KiddyCharts code word is Crặciun Fericit. We hope you are enjoying our 12 days of parenting blog hop, why not nip on over to My thoughts on things now, and do come back tomorrow for more prizes and great posts from the sixty bloggers involved. Thanks, for sharing your thoughts on this. I’m going to follow you on this.